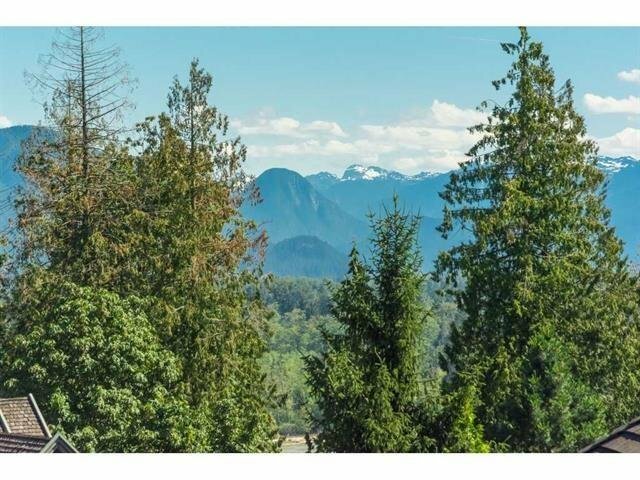 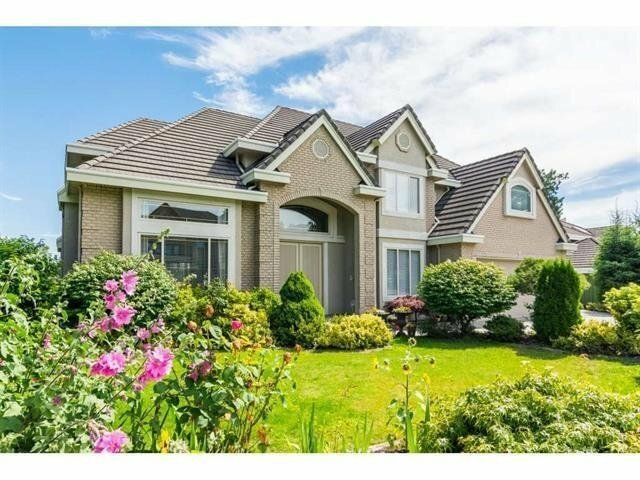 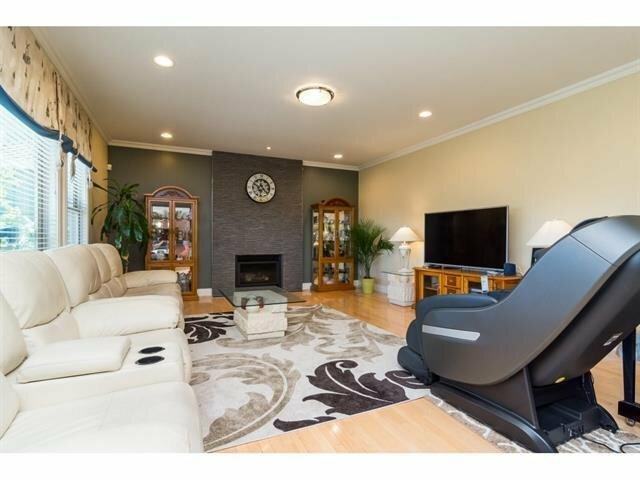 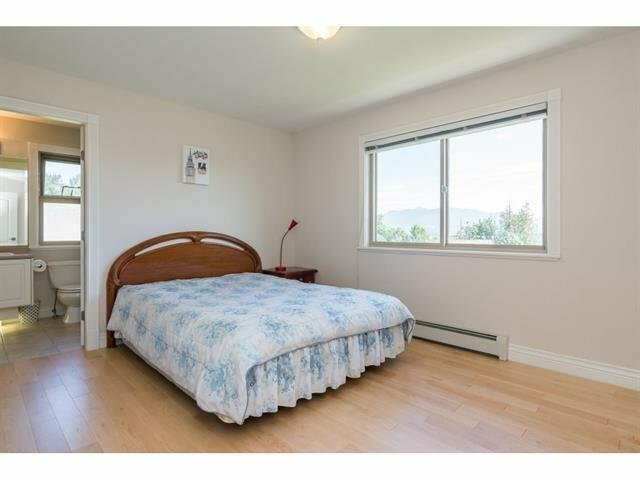 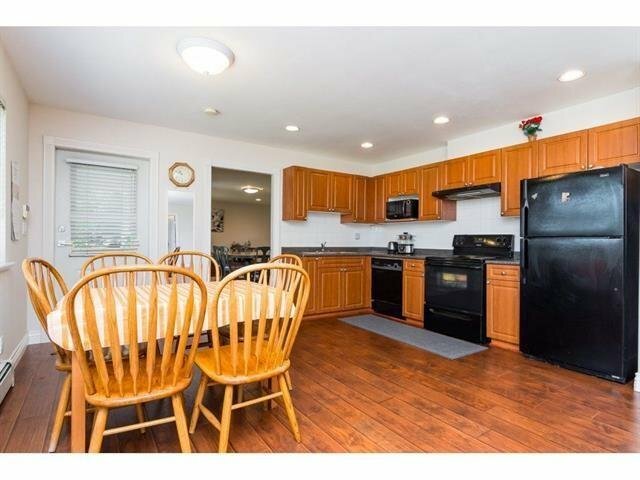 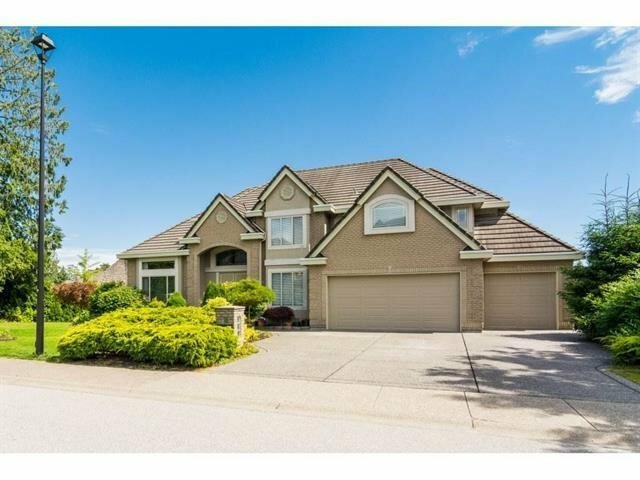 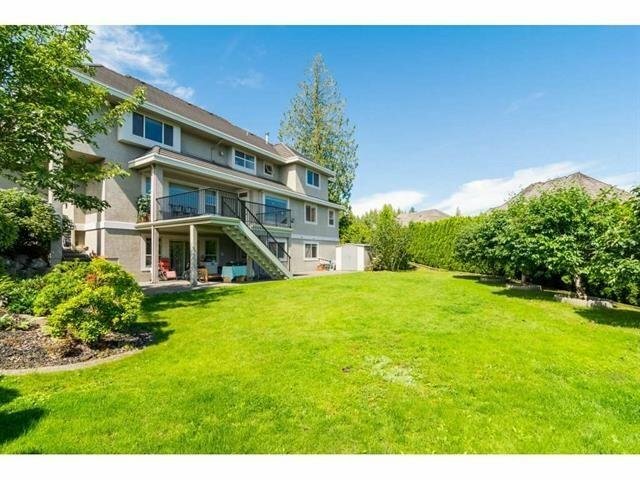 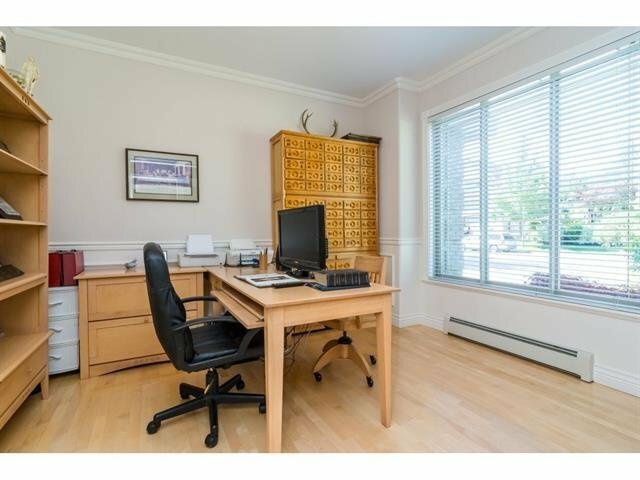 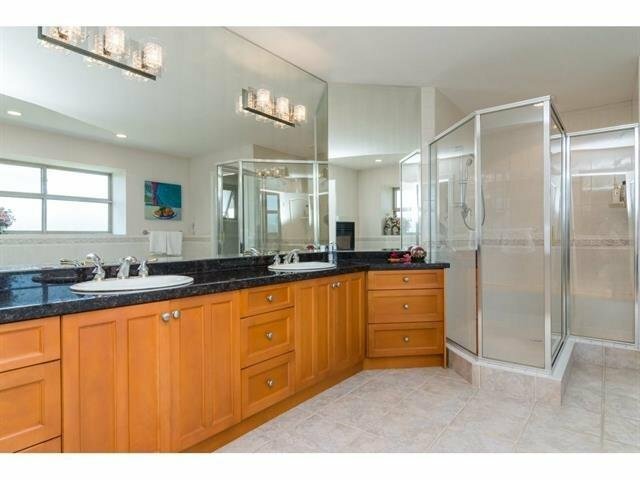 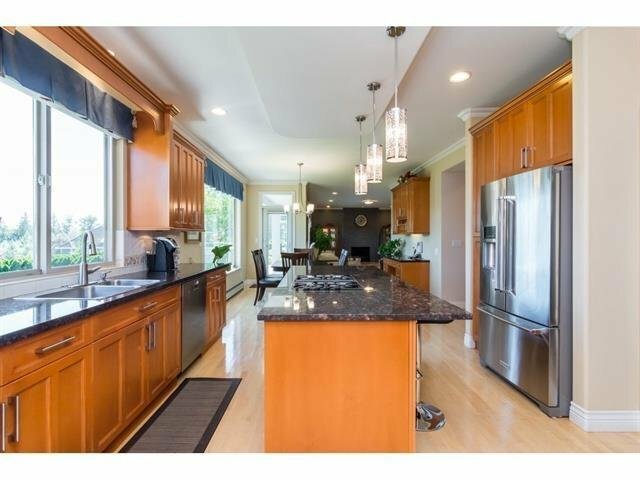 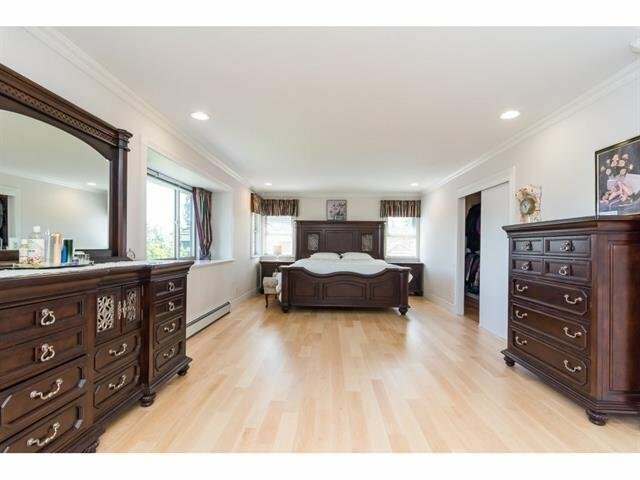 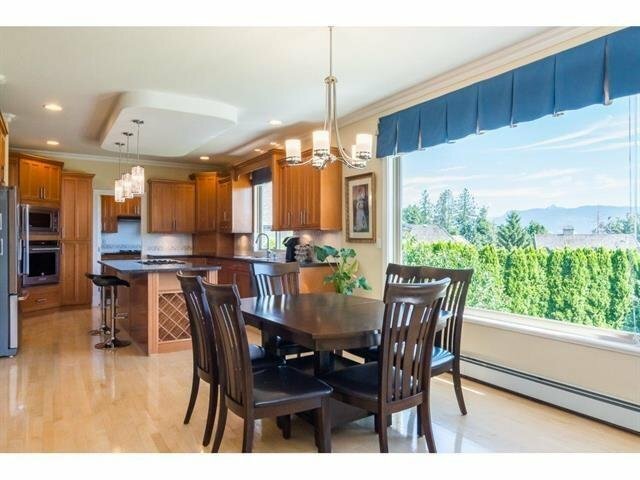 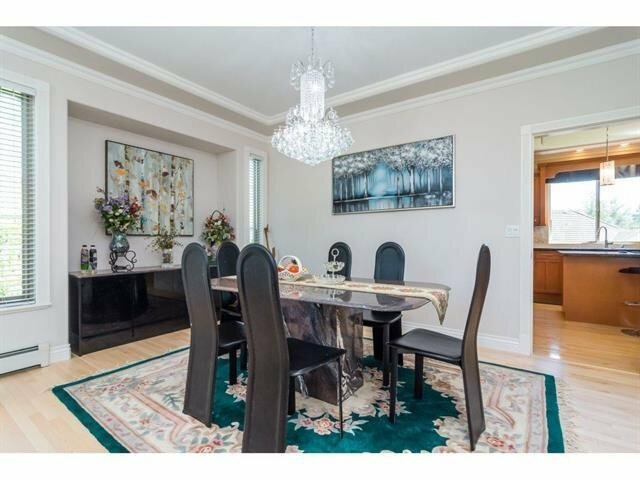 Extensively renovated mansion in Fraser Heights with perfect layout. 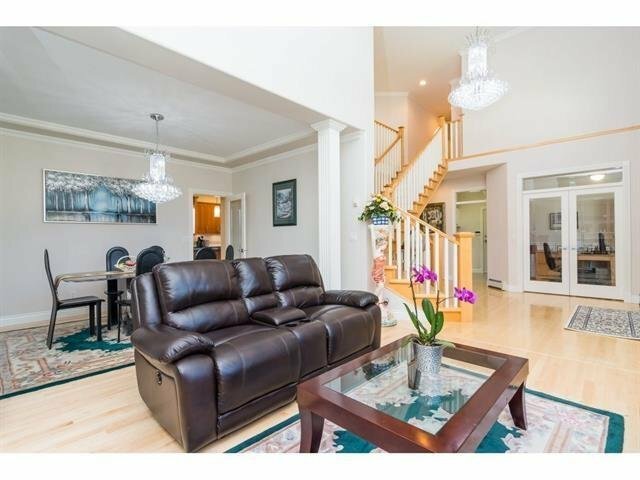 High ceiling foyer, elegant living and dining room, family room with huge custom built sun deck, kitchen and spice kitchen with brand new appliances and quartz countertops, beautiful and spacious private backyard with Mountain View. 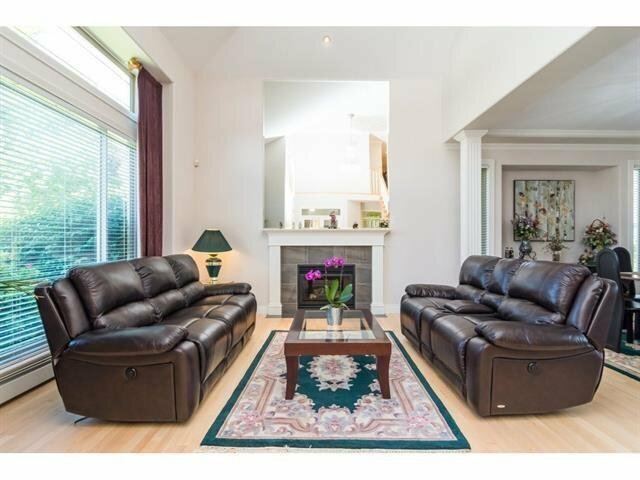 5 bedrooms and 3 bathrooms upstairs and 1 den on main floor. 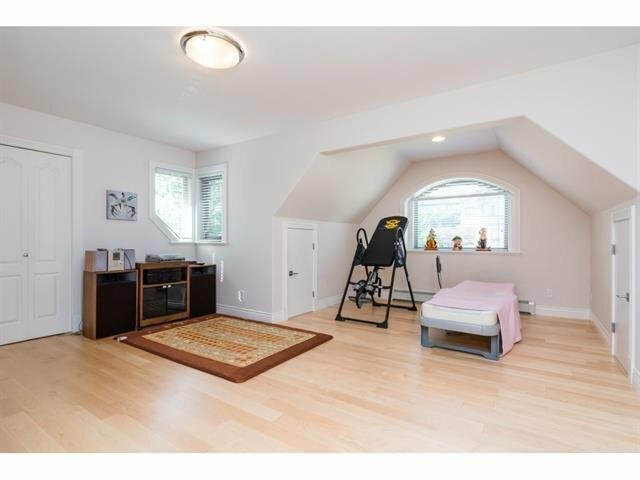 Basement provides a walk-out bright suite with 2 bedrooms and 1 media or game room. 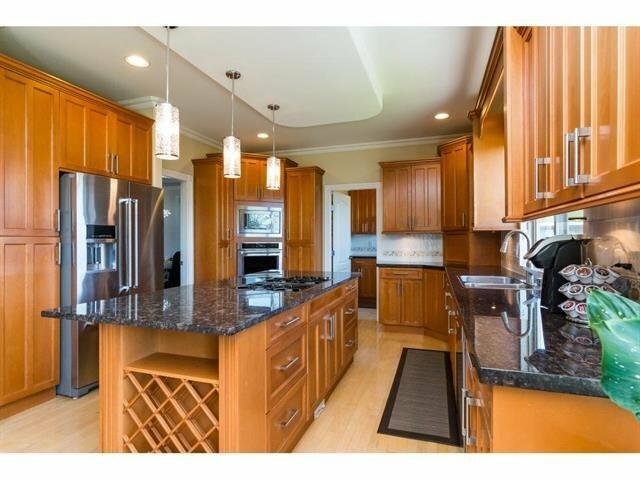 Lots renovations include quality floors, wall paints, light fixtures, maple countertops, island and appliances in kitchen, shelving units and drawers in closets. 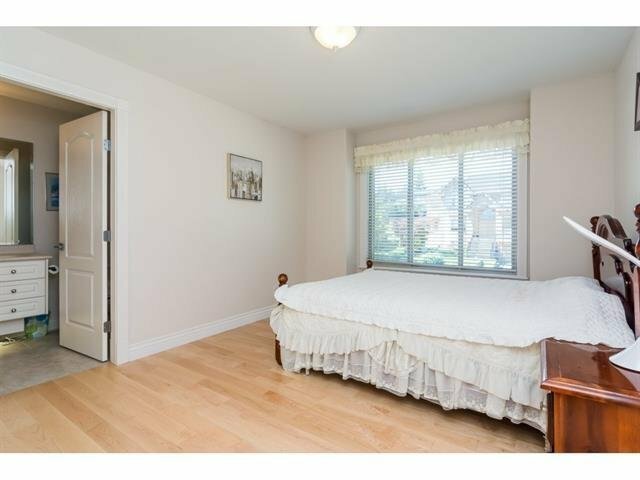 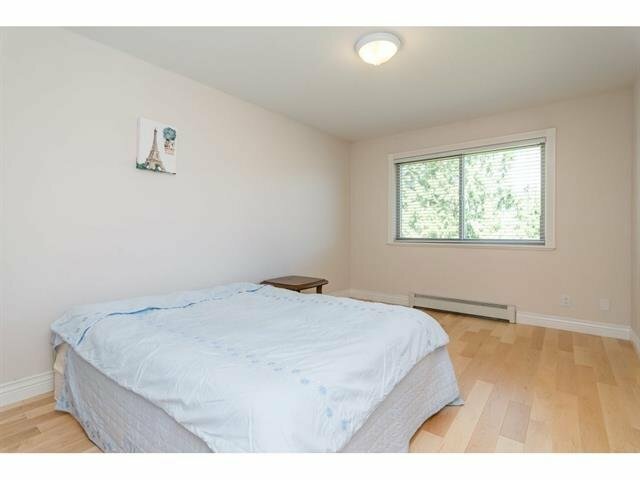 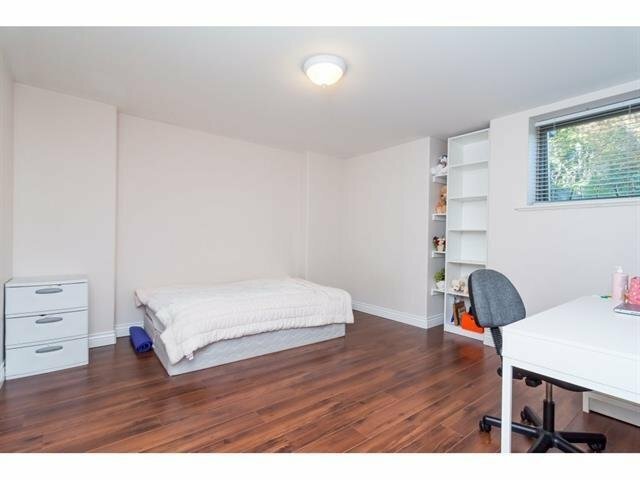 Close to all amenities, Erma Elementary and Fraser Heights Secondary.